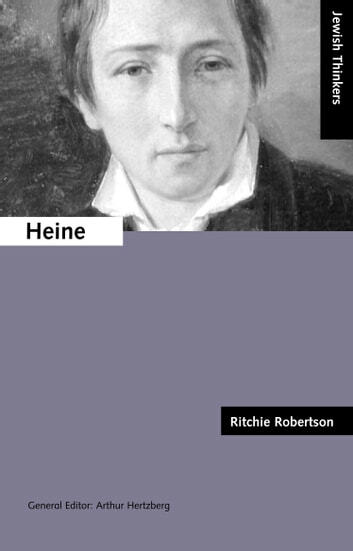 Heinrich Heine (1797-1856) is one of Germany's greatest writers. His agile mind and brilliant wit expressed themselves in lyrical and satirical poetry, travel writing, fiction, and essays on literature, art, politics, philosophy and history. He was a biting satirist, and a perceptive commentator on the world around him. One of his admirers, Friedrich Nietzsche, said of him: 'he possessed that divine malice without which perfection, for me, is unimaginable.' Heine was conscious of living after two revolutions. The French Revolution had changed the world forever. Heine experienced its effects when growing up in a Düsseldorf that formed part of the Napoleonic Empire, and when spending the latter half of his life in France. The other revolution was the transformation of German philosophy in the wake of Kant: Heine explained this revolution wittily and accessibly to the general public, emphasizing its hidden political significance. One of the great ambivalences of Heine's life was his attitude to being a German Jew in the age of partial emancipation. He converted to Protestantism, but bitterly regretted this decision. In compensation, he explored the Jewish past and present in an unfinished historical novel and in many of his poems.